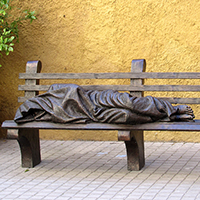 Timothy Schmalz is the creator of “Homeless Jesus,” a life-size bronze statue of Jesus, shrouded in a blanket with his face covered and lying on a park bench. 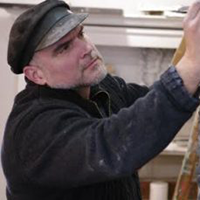 For over 25 years, Tim has been sculpting large-scale sculptures, specializing in religious artwork. He is a figurative artist with his pieces installed worldwide. Some of his most reputed pieces are installed in historical churches in Rome and at the Vatican. 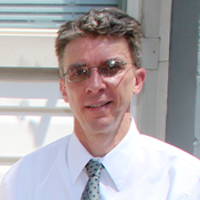 David Stier is the director of St. John’s Hospice in Philadelphia and has over 25 years experience serving the homeless and those in need, including serving as a hospice chaplain for 12 years. David has been with St. John’s Hospice since 2007.